(L-R) From left: Coca Cola Experiential Manager, Sarah Wanasakami, Coca Cola Digital Manager, Mukami Macharia, Coca Cola Central, East and West Africa- Marketing Assets Manager, Andrew Alovi (centre), Almasi Bottlers, Trade Marketing Manager, Carolyne Orao and Shem Oluchiri. The Coca-Cola System in Kenya is now rewarding loyal consumers with a three day trip to the ‘Supa Dupa Fly’ music festival in Santorini, Greece. Over 6.8 million consumers stand a chance to win mobile phones, home theatres and exclusive Coke Studio merchandise over the 12-week consumer promotion period dubbed ‘Dunda Majuu na Coke Studio’. Supa Dupa Fly is a one of a kind annual summer music festival at the Greek Island. Due to its beautiful location and wonderful music from international Deejays. 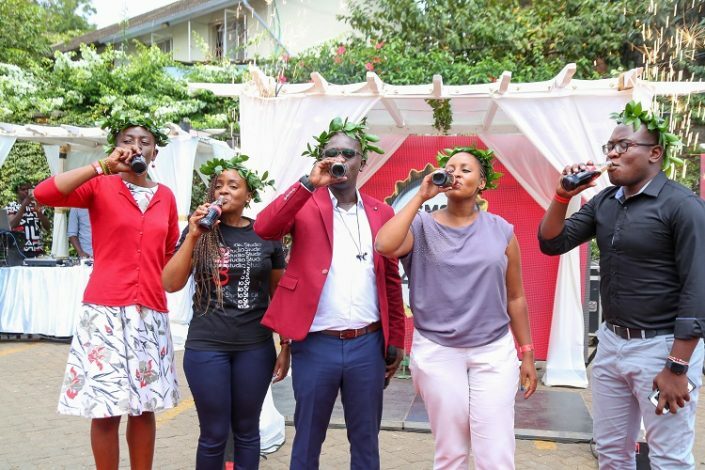 Coca-Cola Head of Portfolio and East Markets, Nelly Wainaina, said for them is to consistently reach out to their consumers through their key passion points which in this case was through the Coke Studio Africa 2019 Show. 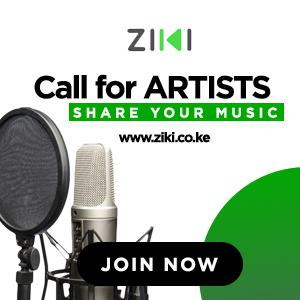 “This initiative is to award them not just for enjoying the music from the show but their continued loyalty to the portfolio. “Music is an art form that unites people of different cultures and backgrounds, through our promotion, our consumers will get to delight in incredible music on the trip,” she said. To be part of the Santorini-Greece squad, consumers will be required to purchase a 300ml Coca-Cola, Fanta, Sprite, Krest or Stoney in a glass bottle with a yellow crown and check under the crown for a code or redeemable prize. For the code, they will be required to send it to 40111 while the product will be redeemed instantly at the point of purchase. Grand prize winners, home theatres and mobile phones winners will be contacted through a dedicated customer care number 0791087785 to be advised on their winnings and the selected Official Coca-Cola distributors to pick them from. To participate, consumers must be eighteen years and above as well as be registered users of Safaricom, Airtel &amp; Telkom at a cost of 2 shillings per short message service (SMS). During Coke Studio Africa 2017, ‘Watch and Win’ promotion was enrolled, entitling participants to win data and SMS bundles among other prizes.